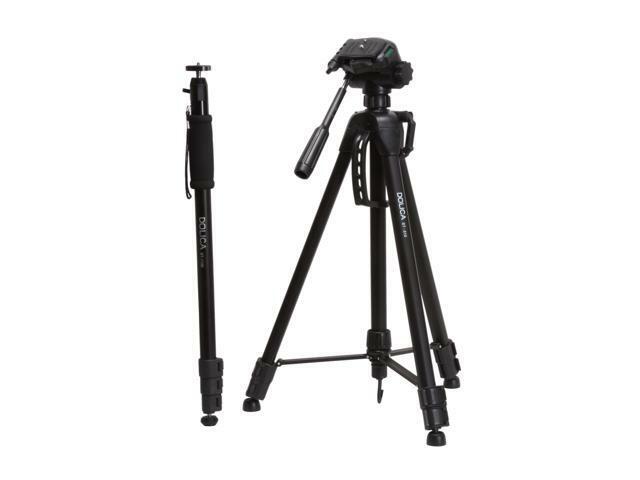 For its newsletter subscribers only, newegg offers the Dolica STC-100 Lightweight Tripod and Ball-head Monopod Combo for $39.99. Coupon code "EMCJKHK77" cuts it to $19.99 with free shipping. The tripod features a 3-way pan head, quick-release plate, bubble level, maximum height of 68", and more. The monopod features an integrated ball head, hand strap, maximum height of 65", and more. Coupon expires October 22. Don't forget, if you're purchasing from Newegg, make sure to use Mr. Rebates Cashback and get 1% cashback. For more information about Mr. Rebates, go HERE.